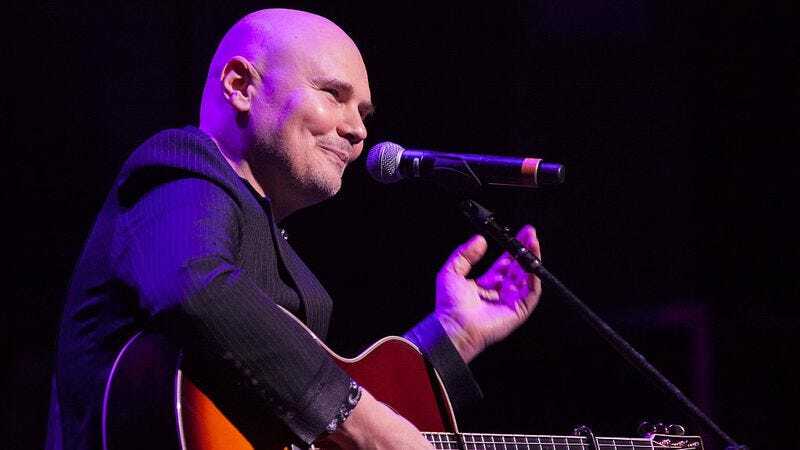 Speaking to Rolling Stone from his suburban Chicago tea shop, Billy Corgan announced that sometime in 2017 he’ll be hopping in a vehicle and hitting the road to journey all around Trump’s America. Tentatively titled “Thirty Days”, he plans to document this road trip with videos released as weekly online installments. This turn as a ramblin’ man is one of many curiosities in the confusing grab-bag of components that make up Corgan’s existence. Recent snapshots from his life include stepping down as the president of a wrestling operation, palling around with literal snake oil salesman Alex Jones, and penning a belligerently long memoir, to name just a few. This latest project is similar to a tour he conducted last year, but instead of waiting for a post-journey documentary, fans and the morbidly curious can see what’s up on Corgan’s road trip in semi-real time. Corgan hasn’t announced specific dates or locations for the project. He did state an interest in heading south, to the Carolinas, Louisiana, and even Texas (“to visit some of my conspiratorial friends,” he said, before before cracking his knuckles in what we can only surmise is some kind of secret lizard gesture or a sly wink at the aforementioned Jones). Whether this docu-journey is another oddity or a return to more traditional musical and video material for the rocker remains to be seen. Corgan also announced two other projects for 2017, including a collection of his 50 favorite songs to celebrate his 50th birthday, a covers album, and a new original album.